Europe has lost 8 per cent of global demand in the same period and after a slight increase in 2018, the decline continues in 2019. 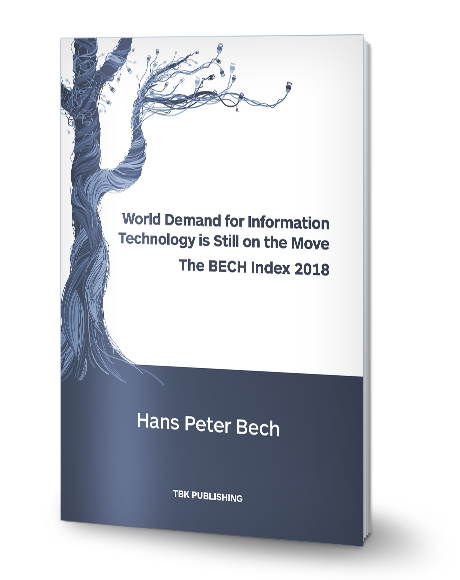 North America and Europe continue to be very interesting areas with some of the biggest markets in the world and because of increasing labour costs and public expenditure, there is a growing need for information analytics, process and cost optimization information technology-based solutions. China continues its growth and has consolidated its position as the second largest information technology market in the world. However, the growth here has levelled off and our prediction that China would outgrow the USA as the world largest market will not happen this decade. For 2019 the region even shows a small decline. The most prominent growth area is India showing a 34 per cent increase in the period 2014-2019 and a 16 per cent increase in 2019.